80-year-old Barbara Ross is surprised by the life she currently leads as founder & visionary of the award-winning children's publishing company Goops Unlimited. The company's focuses in creating fun & educational products for the entire family. Dec. 13, 2011 - PRLog -- This year 80-year-old entrepreneur Barbara Ross celebrates the 10th anniversary of her children’s publishing company Goops Unlimited. 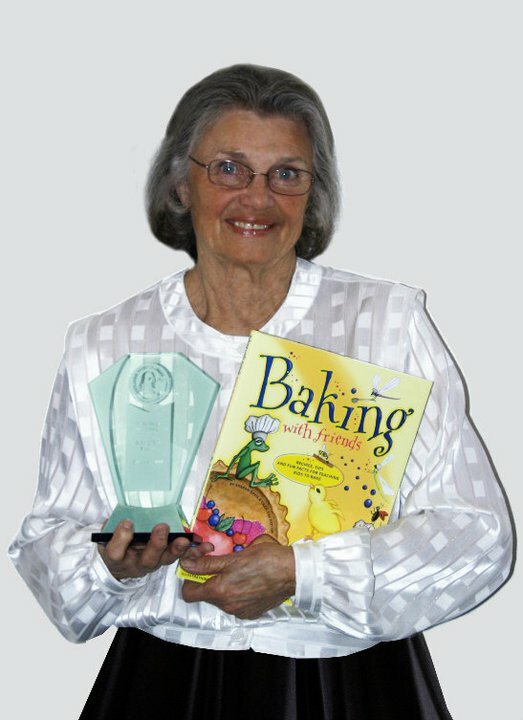 Drawing national attention, Ross’ newest title Baking with Friends was recently honored with the Benjamin Franklin Award for children’s books, as well as the Kansas Notable Book award. Ross’ story began at 70 she found herself a housewife and grandmother of a rambunctious 3-years-old. Interested in ways to engage him in healthy and creative activities, she fondly remembered the wonderful books her parents and grandparents shared with her as a child. She specifically recalled the humorous series of books called The Goops written by Gelett Burgess in 1900. The children’s books focused on manners and polite behavior and allowed readers to determine the difference between appropriate and inappropriate behavior in an enjoyable fashion. However, when she tried to locate the books she found them out-of-print. At 70-years-old Barbara began the process of re-releasing the book Goops And How To Be Them. She shared copies with family and friends and as word began to spread about her new project, she found herself inundated with orders. She named her company Goops Unlimited and began promoting her book to local bookstores and speaking at schools and community organizations. What began as a hobby soon turned into a thriving business and Barbara realized the need to diversify and increase her company’s visibility. She hired publishing consultant Nicholas Beatty, 50 years her junior, later bringing him on as full partner. Together the two have published 15 books on a wide range of topics, all with the express purpose of offering families and educators a way to connect with the children in their lives. Relishing her role as a spokesperson for an active senior lifestyle, Ross states, “I would have never guessed my hobby could turn into this! Now I tell everyone my age to find a hobby and become an expert at it. Who knows where it will lead you!” She continues to play a pivotal role in the company’s day to day activities, and loves sharing the books she creates with her children and grand-children. Created in 2001, the idea for Goops Unlimited arose when founder Barbara Ross realized the need for more time spent in meaningful activities between youth and adults. Goops products were created to help strengthen family relationships and encourage learning the keys to character building. Barbara’s goal was to create opportunities for adults & children to play and learn together in a fun and creative way.